Will you please provide the IFSC code of Indian Overseas Bank , Kecheri branch ? Also provide their contact address . Follow the process by which you can reach the page where you get IFSC code of Indian Overseas Bank , Kecheri branch. Visit at the Indian Overseas Bank homepage . There is Branch at top of the page, click on it . 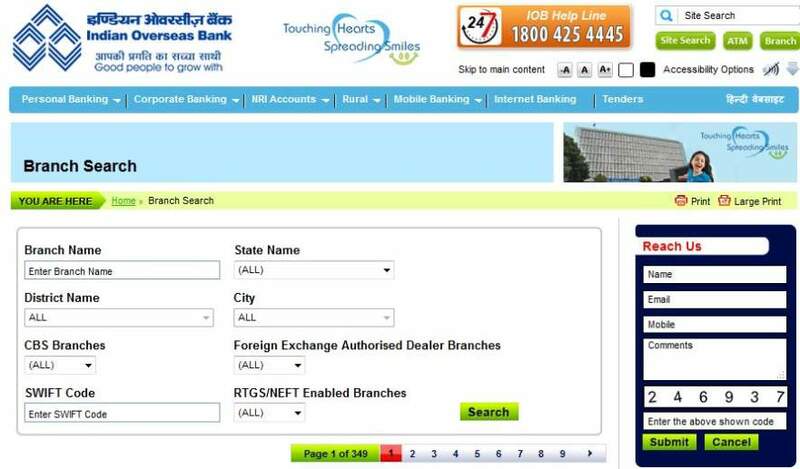 At homepage you will find branch section at top of the page , click on it . For your idea , here I am providing details. Last edited by Shaleen; 11th September 2015 at 11:40 AM.